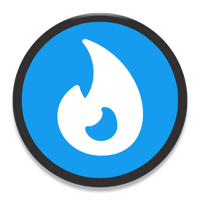 FireParse is a data browser inspired by the look and written of parse.com. It is written on top of Google’s Firebase, and is designed to take the realtime data capabilities of Firebase and combine it with a flexible and easy-to-use data browser. Users transitioning from Parse will find the app to be instantly familiar. The app has been written to be robust and quick. It does has opinions when it comes to structuring the JSON tree, and works best with a new Firebase. The best way to get to know FireParse is to open up a browser and watch the realtime edits to your Firebase backend. You’ll love how much easy it is to edit and change data using FireParse. A solution to many pain points when working with Firebase. ex: image support, batch editing, versioning. A work in progress. More features and documentation coming soon! A replacement for Firebase. You will still need to understand the documentation for Firebase and how to use the service. Especially when creating security rules and retrieving data.